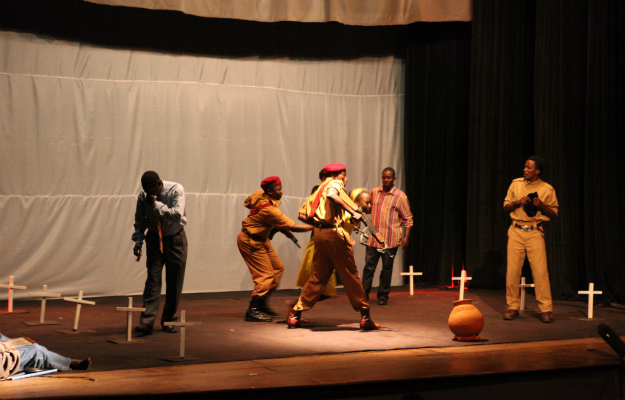 Silent Voices, a new play at the National Theatre in Kampala, questions the possibility of forgiveness and reconciliation in Northern Uganda. The rhetoric in the last couple of years about Northern Uganda has focused on the forgiving nature of the people — and thus on how reconciliation will successfully remove the stench of the long and terrible war against the Lord’s Resistance Army. Written by Judith Adong, Silent Voices deftly captures the experiences of the people affected by the conflict. Adong was inspired by the research she carried out in 2006, looking at the use of drama therapy for former child soldiers, at the World Vision Children of War Rehabilitation Centre and at the Gulu Support the Children Organization.